Engineering Graphics and Design integrates cognitive and manipulative skills to communicate graphically, using a combination of lines, symbols and signs in order to produce products, processes, services and systems which contribute towards economic growth and enhanced quality of life. ■ create more positive attitudes, perceptions and aspirations towards manufacturing, engineering and technology-based careers. ■ sectioning (detail and assembly drawing). ■ CAD architectural design & technology. The Technology Learning Area encourages learners to engage in investigating, designing, making, evaluating and communicating solutions. It equips learners with knowledge and skills that enable them to be competent and confident when operating within a manufacturing, engineering, CAD design or technological environment. Get started with a career in CAD & Engineering drawings. For a extensive library of 2D AutoCAD Blocks & Drawings, visit www.cad-architect.net today! 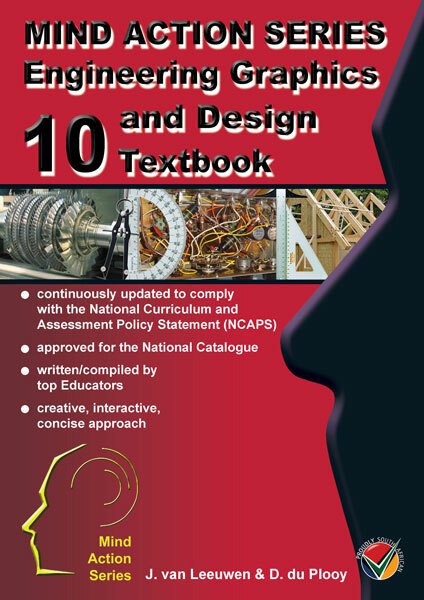 Engineering Graphics and Design Textbook Grade 10 – New Format. Published by Allcopy. 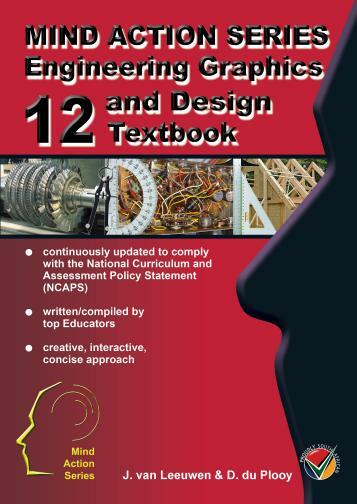 Engineering Graphics and Design Textbook Grade 12 – New Format. Published by Allcopy.